Bob and I have undertaken the arduous task of copying all of our CDs to computer. We've done this several times over the last six or seven years, haphazardly at best. The result was a bunch of files in different folders, random file types, some songs copied three or four times here and there. This weekend we decided we'd had enough, so we're copying everything we own to one location (which we'll backup the second we're finished) and in ONE format. 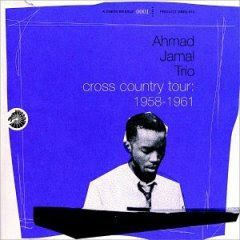 Ahmad Jamal Trio, Cross Country 1958-1961. Just classic. Earl Harvin Trio/Quartet. Earl was a college friend of mine. Now he's Seal's drummer with many successful projects, jazz and otherwise, on the side. 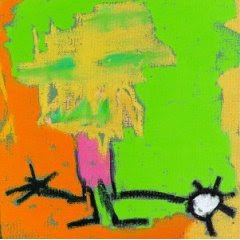 Medeski, Martin & Wood, Shack Man. Very groovy. Now, how can anything get me down this week?